Available in 4 Finishes: American Dark Cherry, American Mahogany, Autumn Walnut and American Espresso all accented with 3mm matching “Super Edges”. Offices To Go Superior Laminate 48" Return Shell - SL4824R. Each surface features our "Superior Edge" 3mm PVC matching edge. 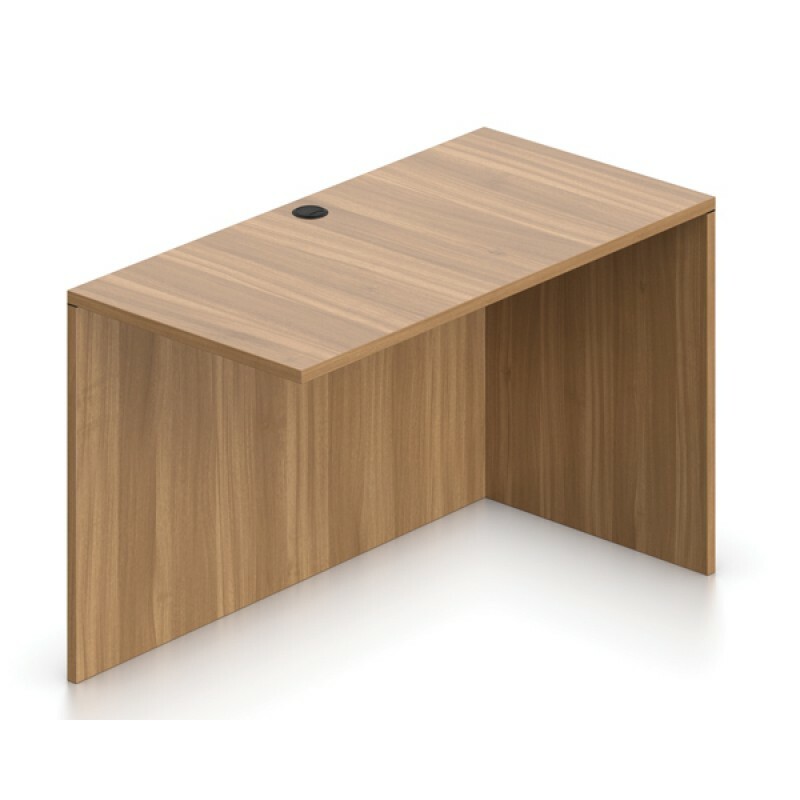 Our "Super Edge" is stronger and more durable than the edging found on many other desking products. Box & file drawers feature full extension ball bearing drawer slides. 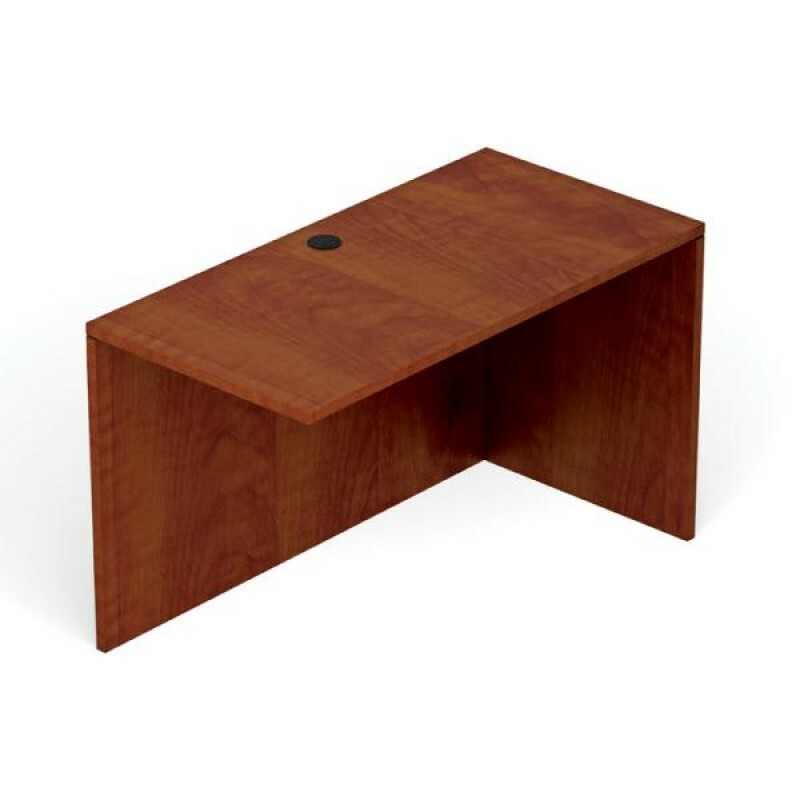 Grommets are standard on desks, returns, bridges, credenzas, extended corners & hutches. Pedestals, lateral files & multi-storage files are designed to connect to the appropriate desk, credenza & return shells. Metal pins & cam fasteners are designed for easy assembly. Metal brackets are also included for additional strength and rigidity. American Espresso & Autumn Walnut standard with silver handles. (Black handle optional upcharge applies). American Mahogany & American Dark Cherry standard with black handles. (Silver handle optional upcharge applies). All Offices To Go® Superior Laminate Desking is in compliance with stringent emission guidelines set out by the Greenguard Environmental Institute under the standards for low emitting products and materials.